Bulk Landscape Supplies delivered same day to Ipswich is never a problem for Jimel Transport. Buy Organic Soil, Premium Mulch, Quality Sand in Bulk, is never far away and is always delivered on time for the best rate possible. We have locally sourced the best quality landscaping products for all commercial and domestic landscaping projects. A big part of having a successful start in the landscaping industry has a good partner that can supply the goods at Mates Rates. Bulk Landscape Supplies Brisbane offer all the mainstream landscaping products that are certified and approved for quality and effectiveness, so we don’t have to look anywhere else. 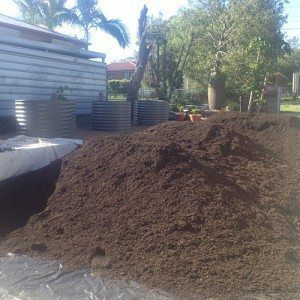 Bulk Landscaping Supplies Brisbane have formed a reputation that suppliers rely on every day. We work hard to ensure quality products, superb customer service, and updated knowledge in the landscaping industry improves every day. If you live or have a big job to do in Ipswich and require Bulk Landscape Supplies such as; Aggregate, Fill, Sand, Mulch or similar, Bulk Landscape Supplies Brisbane don’t worry as we welcome discussions about our product range. Checkout out updated Price List or Call our Team for advice we are happy to help! To learn more about Bulk Landscape Supplies delivery prices to Ipswich, Get in touch with Bulk Landscape Supplies Brisbane. We offer affordable prices with a friendly and professional team that understands your requirements and delivers on time and on budget. Cut out the middleman and SAVE!